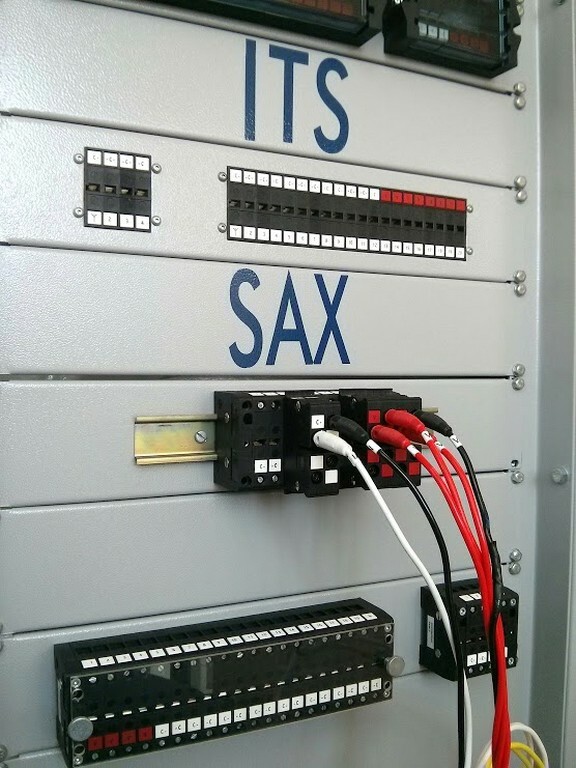 SAX is a surface mount terminal / test block combination for interfacing substation devices (protection relays, fault recorders, revenue meters, . . . ) to the voltage and current transformers and to other equipment on the system side of a power grid. PAX is a test plug keyed to a particular configuration of SAX blocks. 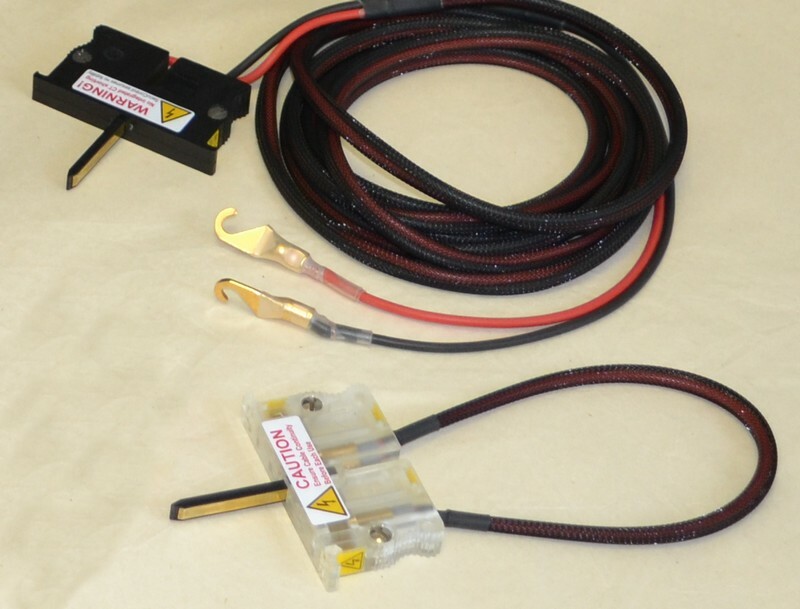 Once inserted into the corresponding SAX block, the PAX plug isolates the substation devices from the system side equipment while at the same time allowing connection of test equipment for secondary injection tests. The front of the SAX terminal / test block has no exposed metallic parts, greatly increasing safety during testing. Test plugs are keyed to the corresponding test block, preventing mistakes and errors during testing. 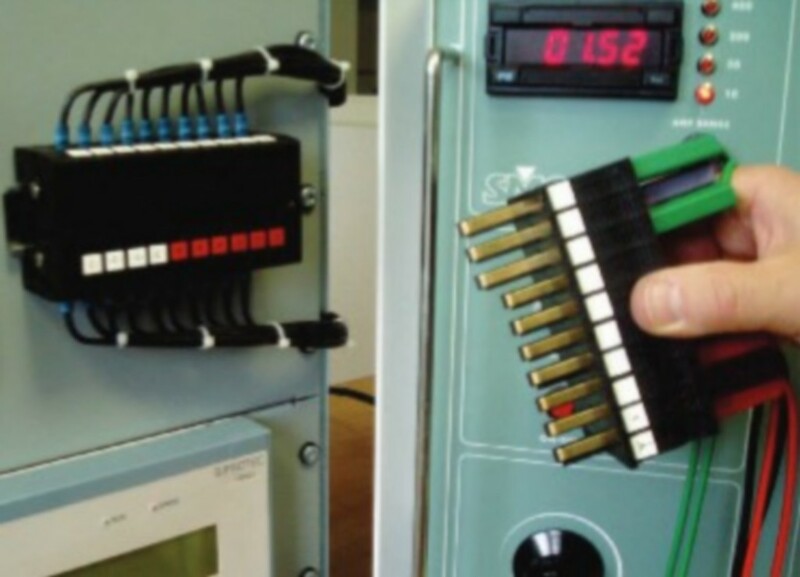 Current circuits are keyed different than other types of circuits, allowing the use of individual test probes while maintaining the safety benefits. 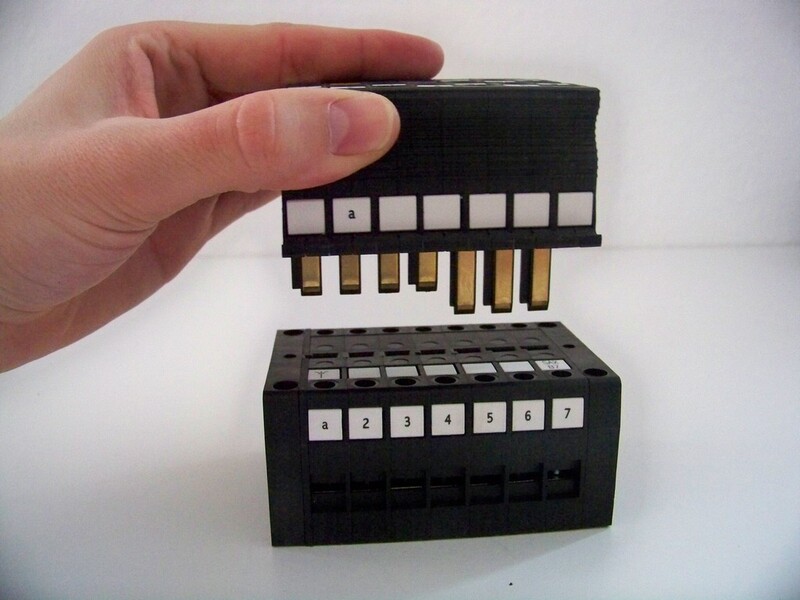 When a test plug is inserted into a SAX test block, contacts are opened in a pre-defined sequence. This is done to prevent false trips from activating the breaker, greatly simplifying the task of testing. 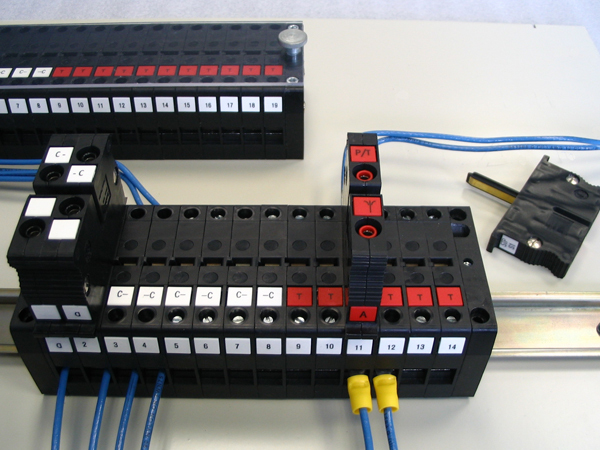 The intelligence is built into the plug: different length fingers create the sequence and fixed current shorting bars provide safe and reliable make-before-break current shorting. When the PAX test plug is removed from the block, contacts are closed in the reverse order, with the trip contacts being the last to close. 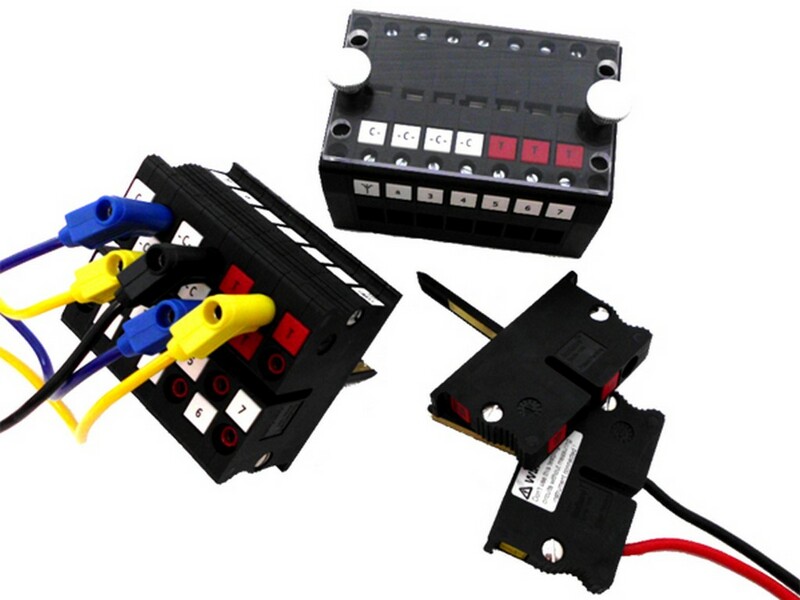 Thanks to the patented construction, SAX / PAX test blocks have an extremely low internal resistance. This decreases the burden placed on instrumentation transformers and also reduces heat dissipation inside cabinets and panels. The right SAX for you either already exists or can easily be created. The 4600 series includes popular models with 7, 10, 14 and 20 poles. Custom configurations have 4 to 20 poles and can be built with any combination of currents, voltages or trip signals, as well as custom labeling. 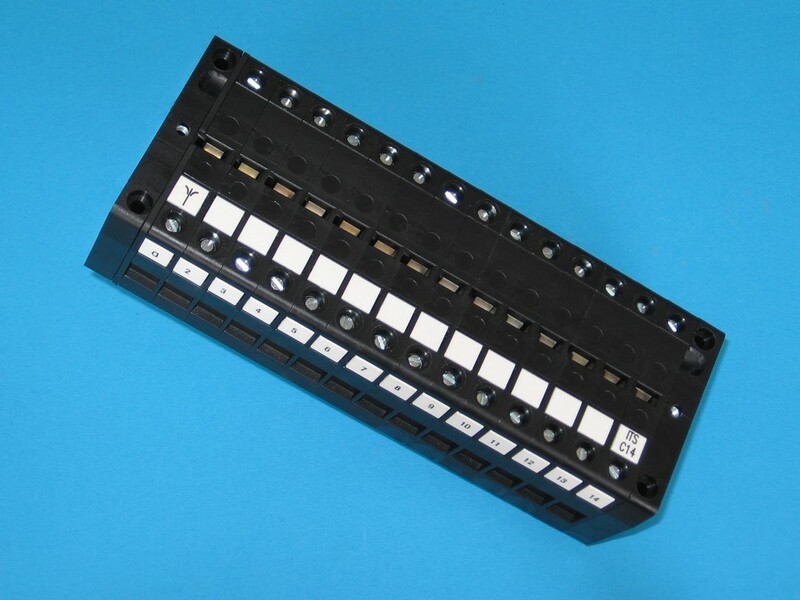 A SAX terminal / test block contains modular units (or “poles”) each allocated to a current, voltage, or signal / trip circuit. 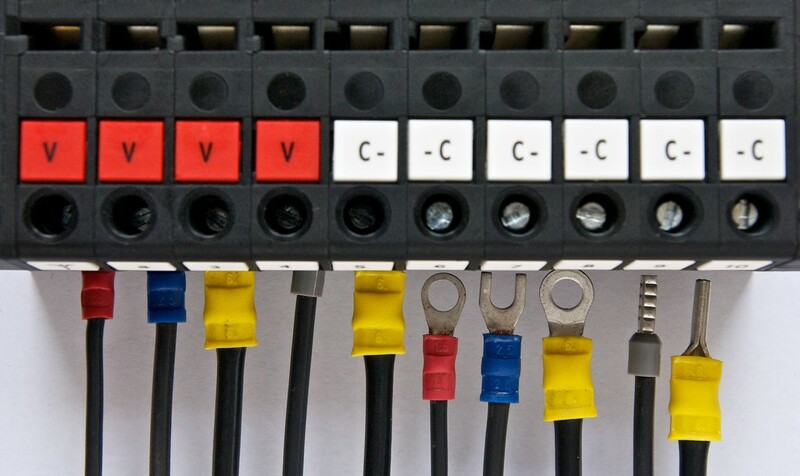 Each circuit is connected through the block via two silver-coated copper contacts, pressed securely together by two pressure springs to create a highly conductive electrical connection. 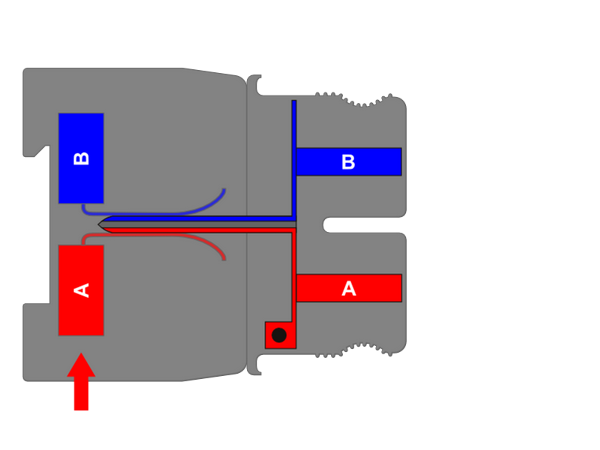 In this situation, an electrical connection is established between the device side (B) and the system side (A). When testing, the corresponding PAX test plug or test probe is inserted into the SAX. In this position, the device and system sides of the terminal / test block are isolated from each other. The test plug includes internal shorting bridges for the current circuits. When the test plug is removed from the test block, the internal springs force the contacts back together, returning the circuits to their normally-closed position. Banana jacks in the test plug allow the connection of a test set to the device side of the terminal / test block and the associated signal injection. Access to the system side is also provided. 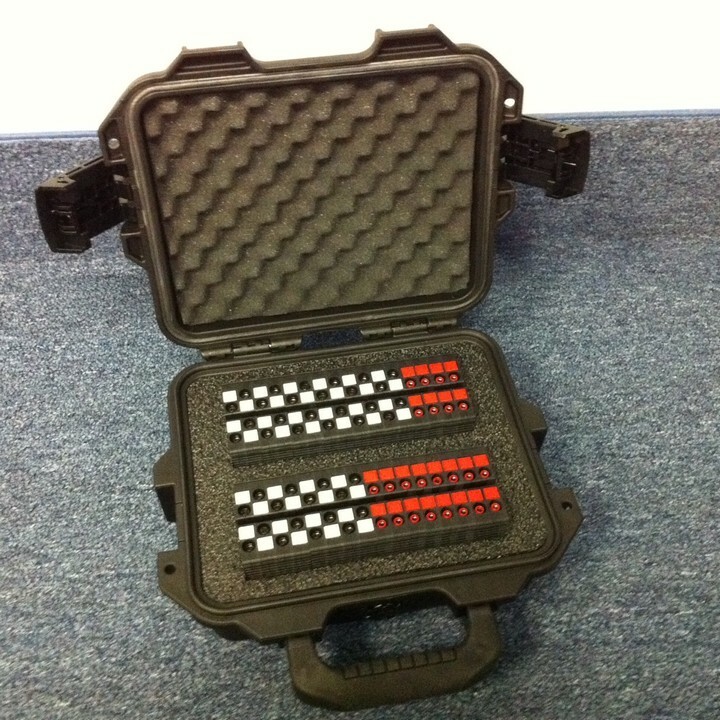 Rugged case for PAX Test Plugs with handle or Test Probes. These test probes will fit all SAX Test Blocks, regardless of configuration. 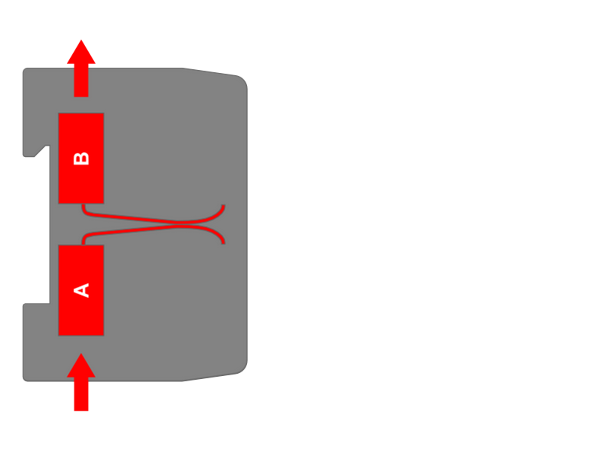 Keying in the probes prevents insertion into wrong circuits (ie, 2-pole current probes can only be inserted into a 2-pole current part of an SAX Test Block). Current probes include internal shorting bridge. 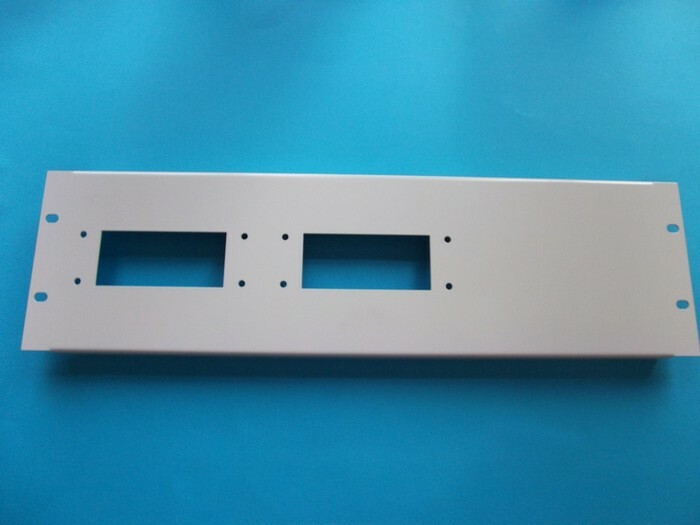 SecuControl offers metal plates for installation of SAX test blocks in 19” racks that come painted in various colors and with various cutouts for SAX test blocks, in standard heights of 2U or 3U.